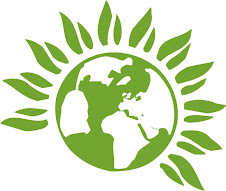 Haringey Green Party Blog: One year on from the riots: could money solve Tottenham’s problems? One year on from the riots: could money solve Tottenham’s problems? Voltaire once said, “When it is a question of money, everybody is of the same religion.” I’m not so sure about that. 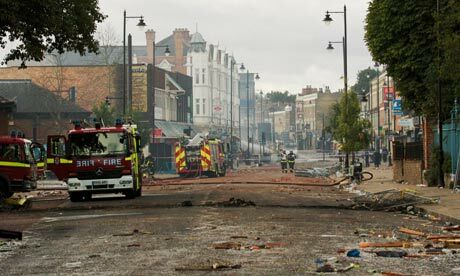 Shortly after the riots ended last year, Tottenham has received a wave of investment into its local economy. However, money alone cannot solve the area’s problems and unless they are dealt with head on we run the risk of more civil unrest. Sir William Castell’s business coalition set up a £1m High Street Fund to support Tottenham’s local business community. The department for Communities and Local Government (CLG) has awarded grants to 150 businesses totalling £365,000 and more than £1m of rate relief has been awarded to date. Tottenham Hotspur FC has made a decision to remain in the area. The GLA has promised to turn a building damaged in an arson attack last year into a £3m enterprise hub. Tottenham’s local business community have received support by various government bodies. All of this is needed and welcome. In fact, we need more! And Haringey Council have put together a budget for youth provision this summer. This is a temporary measure, but I hope it will be expanded. The council have committed to fund a new employment and skills programme worth £4.5m which is good. On top of that, their £1.5m One Borough One Fund is great. But the 80% cut to youth services is still on the minds of young people. Hundreds of businesses’ riots damages claims are yet to be settled. Unemployment levels are still too high. It’s a tough battle. The riots have spurred new investment into the local community. But we have got to make sure that this isn’t a short-term fix to a long problem. Tottenham has now got two riots bookending a generation and the socio-economic harm caused by these events will not be healed quickly. The fact that another riot has happened again 20 years after the Broadwater Farm Riots must serve as a pertinent reminder of the problems with short-term thinking. Money can’t fix everything: it can’t pay people to forget the fact that Mark Duggan’s death has not been properly investigated. It cannot buy a change in law to allow the coroner to interview police officers about what happened minutes before the shooting. It can’t buy the justice that so many people seek. In the immediate aftermath of the riots, David Lammy MP warned us of the similarities with the Broadwater Farm Riot. The Independent Police Complaints Commission (IPCC) had to prove its worth. So far, it hasn’t proved to be totally effective. What money can do, though, is provide opportunities. We could, for example, have big businesses in Tottenham guarantee jobs for local people. Those who have got Olympic jobs could be helped in the post-Olympic transition to long-term jobs. We could maintain the number of police officers in the area, instead of having to cut them. We do need investment: in the right places and for the right reasons. While the investment is a step in the right direction we must not forget what matters most. The Broadwater Farm Riots taught us that no amount of investment could buy people. In the aftermath, the council invested in the estate that improved the area. But you can’t pay away anger and resentment. One year on from the riots, let’s not make the mistake of forgetting. We’ve got no excuses. Beneath all the pound signs lies a sometimes silent frustration that only needs another spark.